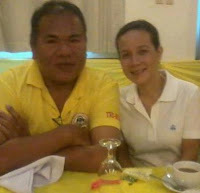 SURIGAO CITY - Senatorial candidate Grace Poe of the Liberal Party on Monday said she is more confident in PCOS machines than in manual counting and wants to propose the installation of CCTV cameras in polling precincts nationwide as part of electoral reforms she will propose if she becomes fortunate in the forthcoming May 13 national elections. “I have more confidence in PCOS machines than in manual counting. The installation of CCTV cameras is not for knowing what is being voted but to monitor the general overview of the peace and order situation. I think in three years time these cameras won’t be pricey enough,” Grace Poe said. She is also proposing a comprehensive insurance and hazard pay for teachers who will serve as poll watchers during elections and the hiring of graduates of computer-related courses for the Comelec. “We’re aware of the risk that these teachers have during elections so they must be covered with insurance and hazard pay. As far as computerization is concerned, if there’s a Comelec overhaul, I think they should hire graduates or students of IT or computer science to cover one fourth of the workforce needed. These are examples to ensure that our elections will be efficient and safe, Poe concluded.